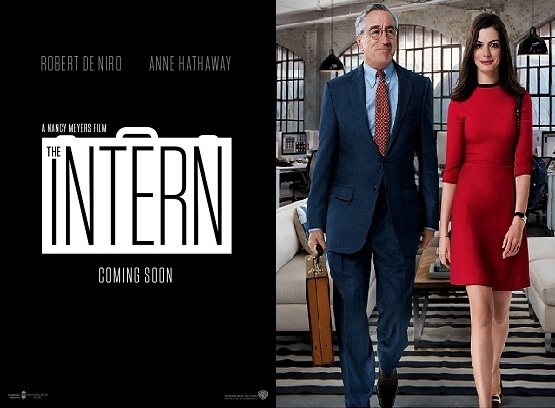 Brief Synopsis – A retiree trying to find things to do to pass the time takes an internship at an internet startup company. My Take on it – I didn’t really know what to exoect with this movie and I was very pleasantly surprised with it. The story feels very fresh and also fun. I loved the way that they kept emphasizing the importance of merging old and new both with regards to ideas and business practice. The cast is great and they adequately filled both the young and ‘older’ rosters very competently. Robert Deniro is excellent in the title role despite the fact that even lately he has played younger characters and he seems a bit out of character as a retiree. Bottom Line – Very fun and fresh story. Excellent cast led by Deniro who seems a lot older than he usually does. Great message about merging of old and new business ideas and methods comes across as real genuine. Recommended! Hi there, great review. I too really liked this film, I thought it’d be typical and boring but it was surprisingly fun and heartfelt and the two lead performances from Hathaway and De Niro were awesome.